He's been called "the clown in the cloak of a philosopher," and this loveable little companion dog is exceptionally good-natured. He is particularly affectionate toward his master and the children, and can even be a bit possessive. They are excellent with children! He will need to be a part of the family and will want to be in close contact with you. 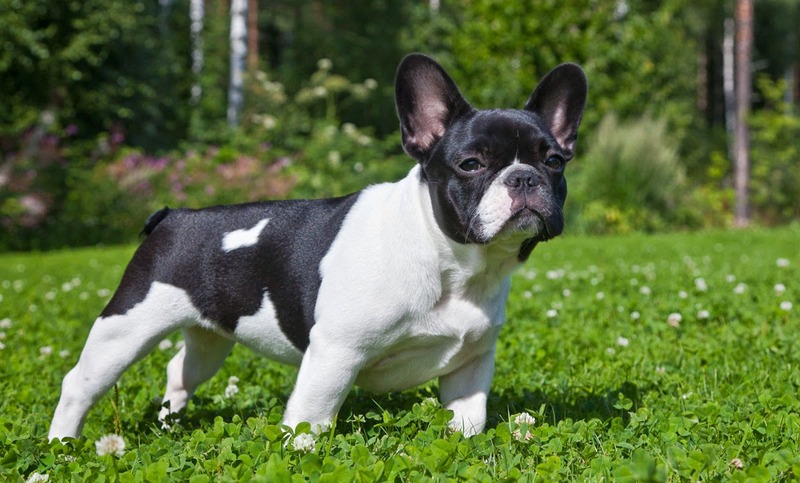 Each "frenchie" possesses his own unique personality, but they are usually independent thinkers, intelligent, with a bit of a mischievous side. They are usually well-behaved if trained to be. They are trainable, but stubborn, and do best when they are convinced that they are interested in the task at hand. Their favorite task, of course, is that of lap-warmer, and that requires little to no training. You will need to be willing to share your favorite chair. They are compatible with other pets, but sometimes struggle with cats. They are active, alert, and playful, but they don't require a lot of exercise. They will have short bursts of high energy, but these are interspersed with long periods of napping and lounging around. Because of their short nose, you have to be careful that you don't exercise them to the point that they overheat. They also don't do well in high temperatures and they do best with air-conditioning on hot days. They can be territorial and protective, and will "sometimes" alert their owners to danger, but not all the time. Some frenchies never bark at intruders. They are typically a quite breed and are not excessive barkers. These loyal little guys are the ideal housedog, except for the fact that they drool and slobber quite a bit, are frequently gassy (have flatulence), and snore loudly.